With more than half of all enterprise WAN traffic moving to and from the cloud, global businesses are moving away from legacy WAN architectures such as MPLS. Breaking out Internet traffic at the branch (instead of backhauling it to a central location) reduces latency, but there still remains challenges ensuring quality application performance and security at corporate locations. Enterprises need a cloud-native SD-WAN solution that integrates private connectivity, application acceleration and security without adding network complexity and costs. 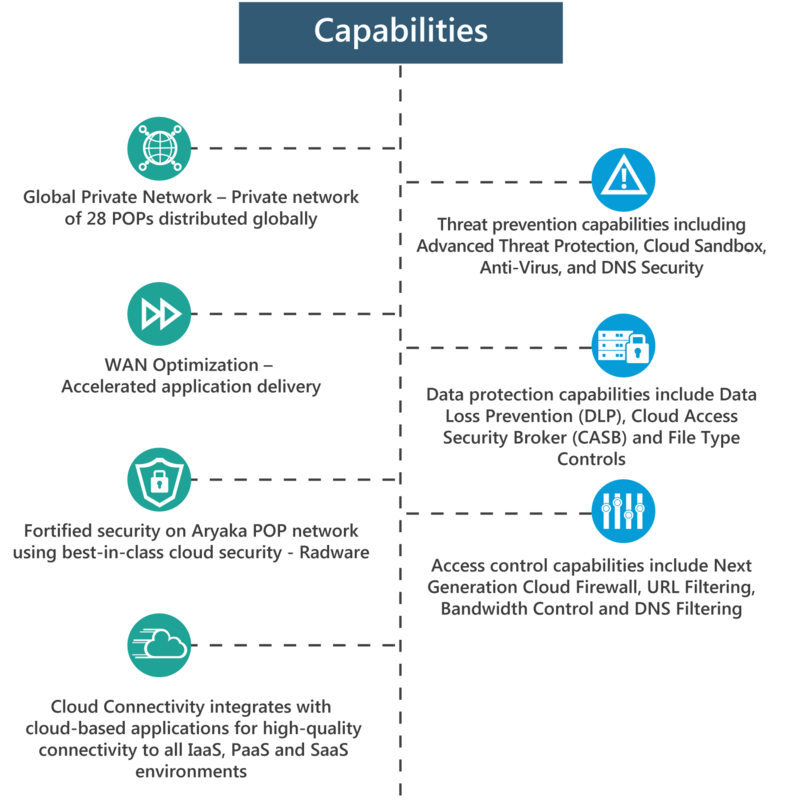 Aryaka SmartCONNECT delivers SLA-based reliable global connectivity and significantly faster application performance to enterprises, while Zscaler adds a layer of advanced security controls needed for web- and cloud-bound traffic, such as threat protection, data protection and access control capabilities. The Aryaka Edge device (ANAP) can seamlessly forward all Internet- and cloud-bound traffic directly to the Zscaler cloud. Further, since the combined solution is cloud-native, enterprises do not require additional on-premises hardware, appliances, or software for deployment. This results in a significant reduction in network complexity, costs and maintenance hassles at globally distributed branch offices. Accelerated Application Access:Enable fast high performance access to mission & business-critical applications hosted locally or in the cloud, from branch and remote office locations. Advanced Security:Secure all your enterprise and web traffic using comprehensive security, data protection, visibility, and control. Centralized Security Management:Define and immediately enforce security and access policies across all locations from a single console. Network Visibility:Deliver complete visibility into application usage and performance over both the Aryaka and Zscaler services. Reduce Hardware Footprint:Secure all cloud traffic without security appliances. The Aryaka Edge includes built-in capabilities of a stateful firewall and router, and integrates directly with the Zscaler cloud. Rapid Connectivity Deployment:Activate and deploy new sites and services in days.